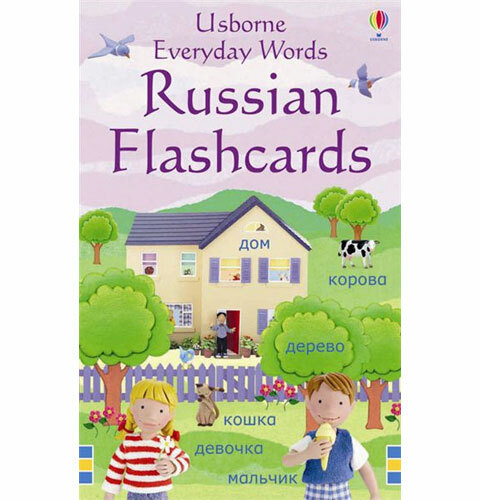 "Usborne Everyday Words Russian Flashcards" are perfect for teaching young children their first Russian words. 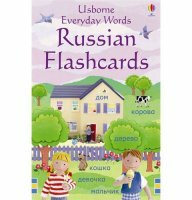 "Usborne Everyday Words Russian Flashcards" are suitable for children of all abilities. Each object is clearly labelled with the corresponding Russian word to encourage immediate association of the word and object. Each of the words used is also translated into English in small print on each card. This allows for the parent to check the meaning without the word being large enough to confuse the child.